What is a Catalytic Converter? Your catalytic converter does just that, it converts. It converts the harmful exhaust gas that comes from your car's engine into less harmful emissions before they exit the exhaust system. When the catalyst isn't able to burn off the unburned hydrocarbons in the exhaust, an unpleasant odor can occur, a rough ride, misfire may be felt, or the Check Engine light may turn on. 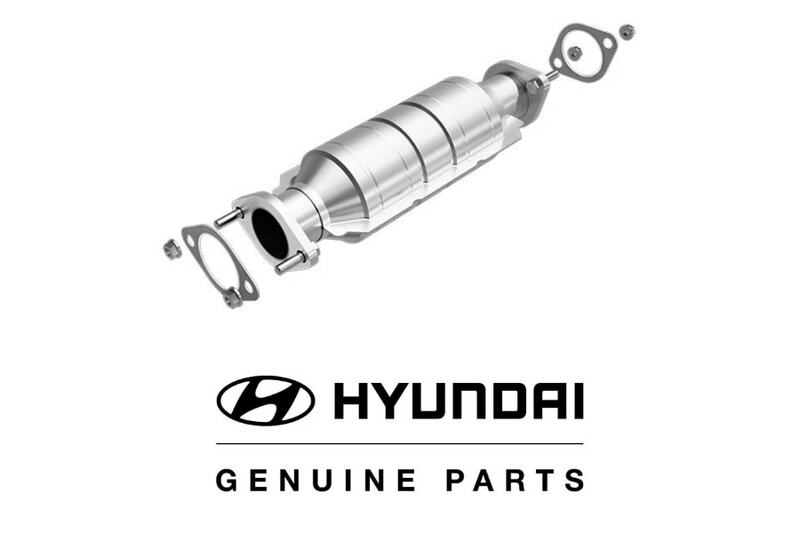 How often do catalytic converters need to be replaced? If your engine is running properly and your car is in good health, your catalytic converter should last the life of your vehicle. The most common reason for catalytic converter failure is due to too much raw fuel entering the converter, which is typically a result of a misfiring engine. The converter can also overheat and break apart inside, causing it to become plugged.If you notice any of these signs in your vehicle, bring it in as soon as possible so we can take a look and catch any problems before they worsen. If black smoke is coming from the exhaust, you should not drive the vehicle. This would indicate unburned fuel entering the converter, which can damage it. Downey Hyundai is happy to be the go-to certified service center for drivers all around the Downey, Norwalk, and Lynwood areas of Los Angeles. Our team of factory-trained technicians works hard to ensure your car is getting the best care possible. In doing so, we use only genuine OEM parts and products when working on your car to restore it back to factory standards. We make scheduling an appointment simple with easy online scheduling options and convenient weekday and Saturday hours. Book your next Hyundai Service Appointment today.